As FOCUS Fort Myers pediatric occupational therapists know, it’s not just important to reduce plagiocephaly, but also because a baby who is always belly-up is much more likely to have delays in motor development. Babies who don’t get the opportunity to work the whole upper half of their body (tummy time helps strengthen their head, neck and upper body muscles) are going to have a much tougher time tackling basic skills like lifting their head, turning over, sitting, crawling, reaching, walking and playing. Important as it is, we know tummy time isn’t necessarily fun time for everyone. Many parents hesitate to initiate tummy time because they are afraid. They want to keep their child safe from hitting their head or some other mishap). Some are concerned their child isn’t just being fussy, but in real pain (stemming from colic or acid reflux) that seems worse when they’re on their tummies. Others find that other carriers, holders, swings, etc. are just far more tempting of a convenient alternative. 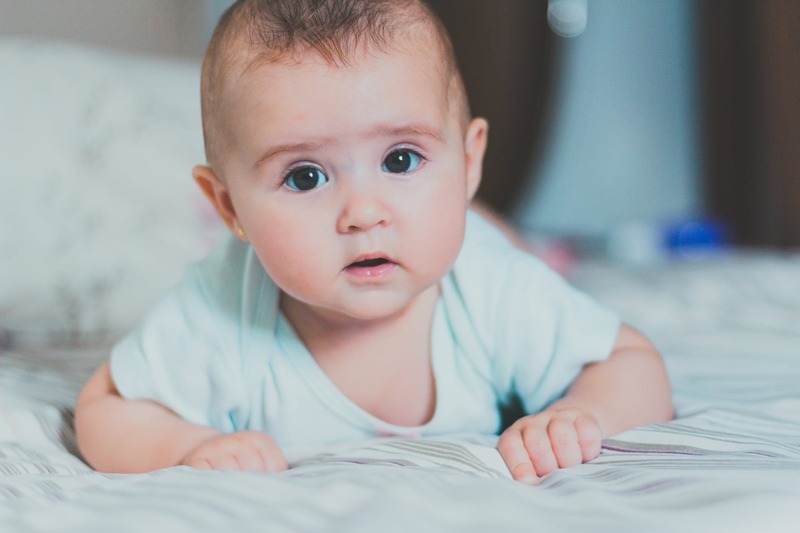 Firstly, as long as your baby is on a firm, flat surface, you are present and paying attention and your baby is awake and alert, tummy time should be safe from the time your child is first born (ask your pediatrician if you have questions). Secondly, if your child is in genuine pain, that shouldn’t be ignored. Discuss it with your child’s doctor. Interestingly though, babies who have this diagnosis sometimes find the tummy-down posture preferable because it can be soothing. Finally, although “child containers” are convenient, they aren’t great for your babies’ physical, social, emotional and cognitive development. They’re fine on occasion, but try to avoid the constant “container shuffle” if you can and give your child more of an opportunity to grow strong and explore the world around them. Babies may not like tummy time because it creates sensory confusion. A large sense represented in a young brain is vestibular movement and body position. Especially when parents wait until their child is 4 or 5 months old before initiating tummy time, it can feel confusing for an infant. Numerous studies show that when babies have more opportunity for free play on the floor, they’ll hit their developmental milestones sooner. Babies on a flat or firm surface can move, extend, flex and grow stronger. They won’t learn magically to roll if they’re strapped to a seat all day. Sometimes development milestones can be missed entirely, with lasting consequences. Studies have shown that babies who get regular tummy time from Day 1 tend to have better posture, seated attendance, hand-eye coordination, strength, aided digestion and development in certain muscles that could event eventually help with skills like handwriting. Incorporate tummy time into things you and your baby are already doing, like changing diapers, applying lotion, drying with a towel after bath. When you burp your child, lay him across your lap on his tummy. Because it’s never too late to start reading to your child, make tummy time story time! If you have questions about tummy time for your infant, ask one of our experienced Fort Myers pediatric occupational therapists.